I love giving packets of handmade cards as gifts at Christmas. These chevron bags are the perfect size for cards or any other goodies you want to give at Christmas. I also love the holiday single stamp collection (not in either catalog). The bags are neutral and can be dressed up for any holiday! 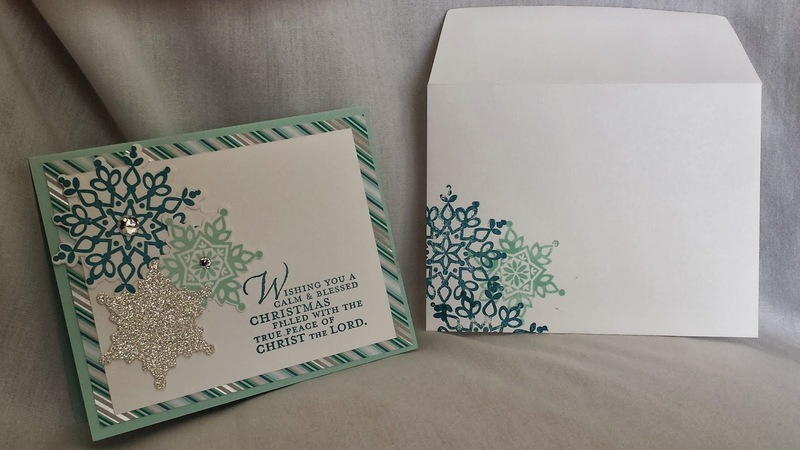 Color "Wonderful Blessing" stamp with markers, cut out with BigShot circles thinlits collection die. Attach rhinestone on star. 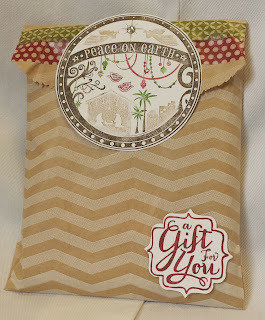 Stamp "A gift for you" on whisper white with cherry cobbler. Punch with label bracket punch. 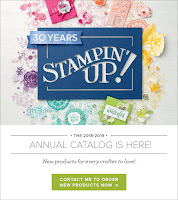 Affix to bag with stampin' dimensional. Fold bag over and adhere washi tape across top edge. Use snail adhesive to attach circle to flap.